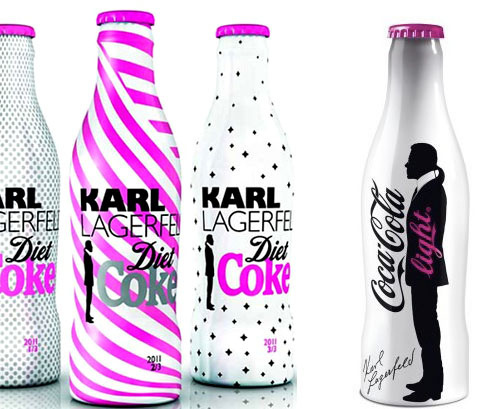 The above image is a new collaboration Karl Lagerfeld has taken on with Coca Cola. The new looks are set to hit shelves summer 2011 and will be adorned with different Chanel inspired designs. There’s even a special design for the Diet Coke bottles on which Lagerfeld’s silhouette appears as a way to celebrate his own success with weight loss. I think this is an adorable idea and thought I’d share it! I am going to buy a lifetime supply of this.